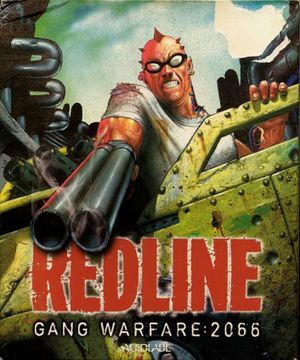 For the unrelated racing game, see Redline (2006). Game crashes after opening movie if using a DisplayPort connection to monitor. Only HDMI and DVI connections are supported. The v1.1 Patch updates the game to the latest version. Can be forced in Nvidia/ATI control panel. Download the patch and extract to the installation folder. Select your preferred settings and click "Save and Start". Always start the game via RedlineConfig.exe to run the game with the applied settings. Resolutions higher than 2048x2048 will crash the game. ↑ 3.0 3.1 File/folder structure within this directory reflects the path(s) listed for Windows and/or Steam game data (use Wine regedit to access Windows registry paths). Games with Steam Cloud support may store data in ~/.steam/steam/userdata/<user-id>/328460/ in addition to or instead of this directory. The app ID (328460) may differ in some cases. Treat backslashes as forward slashes. See the glossary page for details. This page was last edited on 15 December 2018, at 02:01.